As per the Motor Vehicles Act in India, it is mandatory for every vehicle plying on the road to be insured with at least a third-party liability cover. You can either avail a comprehensive insurance plan that covers third-party liabilities and own damage liabilities or you can avail a third-party liability insurance plan that covers third-party liabilities alone. 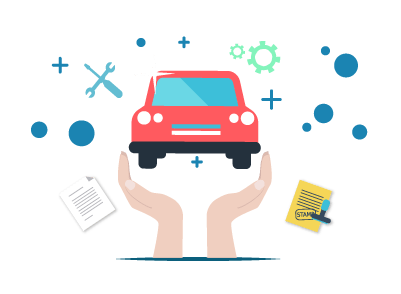 Does The Comprehensive Car Insurance Package Include Consumables? A comprehensive insurance plan only covers third-party liabilities and own damage liabilities alone. Comprehensive insurance plan does not cover the consumables. In order to cover consumable in your insurance plan, you will have to add the consumables add-on cover to the base policy. The consumables cover protects the vehicle’s consumable entities such as brake pads, tires, rotors, air/fuel filters, oil fluid, wiper blades, etc. What Conditions Should Be Met For Honouring Consumables In The Insurance Claim? The consumables cover should be mentioned as admissible in your comprehensive insurance policy document under the own damage cover section. You have to get the car consumables repaired within three days starting from the date of accident or theft. In case you fail to get the car consumables repaired within the specified number if days, your consumables claim will be denied. The consumables cover is only available for vehicles that are less than five years old. So vehicles that are older than 5 years cannot be covered under the consumables cover. You have to carry your valid driving license and insurance documents everytime you drive the car. In case you meet with an accident and you don't have these documents, your claim will definitely be denied.